The V250 can be upgraded with your choice of large-diaphragm capsules, any of which will lower the mic’s noise floor and provide a significantly more musically useful EQ curve. 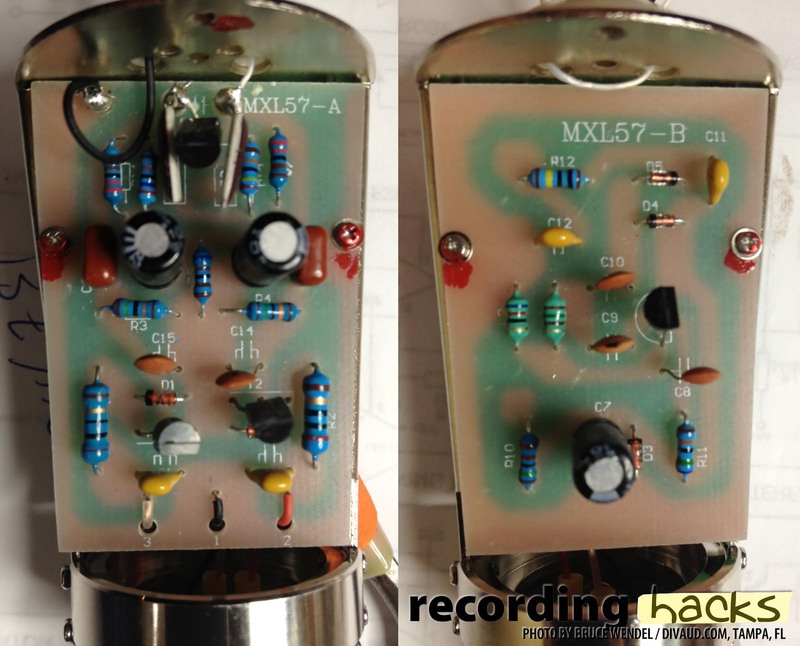 Further, the mic’s circuit can be upgraded with our “Basic” or “Advanced” mod kits, which will expand the mic’s dynamic range, improve its transient response, and provide a previously unheard third dimension to the sound of the microphone. The V250 is a small-diaphragm FET condenser microphone made by MXL for distribution by Guitar Center and its affiliated companies. 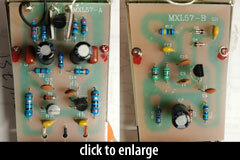 The circuit board in the photos we’ve seen is identical to the MXL 2006 and MCA SP-1; it is MXL’s standard linear transformerless circuit, a derivative of the circuit developed by Schoeps. The capsule is MXL’s standard small-diaphragm design, mounted within a brass baffle ring. This “603S” capsule has a 17mm diaphragm of 6-micron Mylar, stacked on top of a 20mm OD backplate, within a 22mm OD housing. The capsule assembly is held together with a brass tension ring, screwed on from behind. In essence, the V250 is an SP-1 in a different body. As such, it is very responsive to aftermarket mods, both in terms of capsule replacement and circuit upgrades. See commercial options in the sidebar. MXL has published no specifications for this microphone, but we assume they are similar to those of the SP-1.